Good morning to all of our Citrus Twist fans, and a very happy Wednesday to you all! With kids (or, in cases like mine, spouses) heading back to school this month, it can be a busy time! 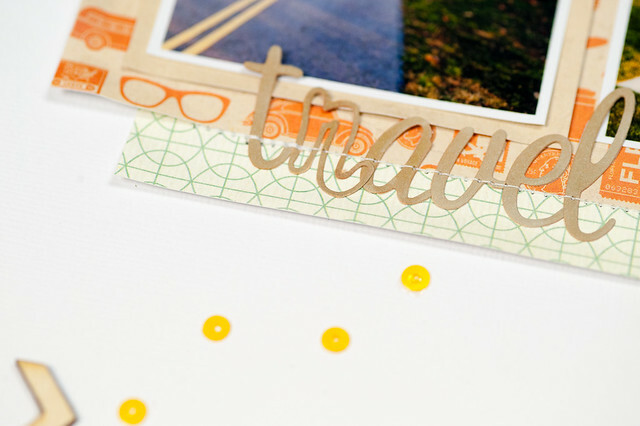 If you're a little short on time for scrapbooking and need a quick and easy way to put together a layout that's still stylish, then I have just the post for you today. This layout took about 45 minutes to complete from start to finish, and it's something that can easily be done in small steps if you have just 5 minutes here or there to be creative. I started this page with two photos and a white cardstock background. 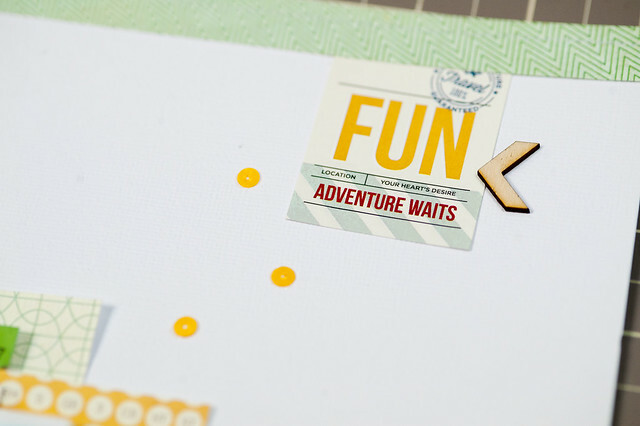 White cardstock is my go-to when I'm pressed for scrapbooking time since it takes one of the major design decisions (the background paper) off the table right away, and you can substitute in kraft, gray, or whatever color is your own personal favorite background. Next, I pulled out the 6x6 paper pad from the August Pocket Life kit along with the off-cuts that were left from a few sheets that I used on my weekly layout this month. I'm always left with lots of 2" x 6" strips after filling pockets in my album! I quickly flipped through the paper pad and pulled out any papers that worked with my photos, focusing mostly on color, but also making sure I pulled in a variety of patterns. Then I started layering the pieces together using a combination of the off-cuts along with freshly cut pieces from the 6x6 papers I'd just selected. When I'm using a 6x6 pad for layering like this, I rarely measure as I cut. I just chop off a chunk of one side of a sheet, leaving one 6" edge intact. It's fast and easy, and it works! 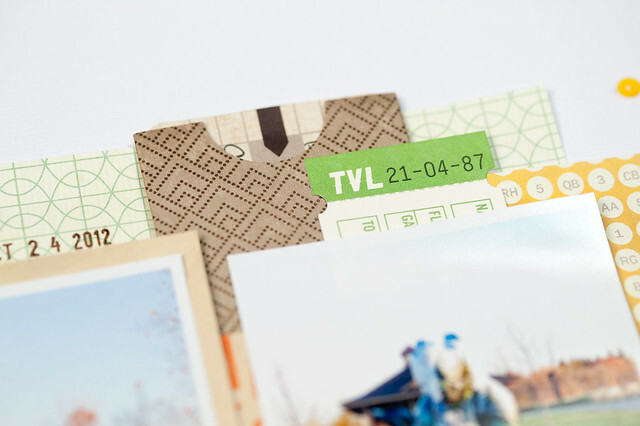 To finish off the layout, add a title, some coordinating paper strips across the top and bottom, and then embellish along the diagonal of the page to lead the viewer's eye across your photos. I always finish my pages off with a bit of stitching, too. If you're wondering where I got the brown letter stickers from, I actually recolored the light blue alphas in the main kit to match my page! Alcohol markers such as Copics or Bic Mark-Its work perfectly for this since they blend as you go and leave a nice, even tone instead of the splotchy look that I normally get with regular markers. I tucked my journaling for this page into one of the Basic Grey pockets that was included in this month's Main kit, letting the pocket serve as a layer as well as a place to hold my writing. I admit, though, that it's really strange for me to look at this page and not see any writing front and center! The next time you're feeling creative but only have a few minutes to spare, try this fast and simple formula for a layout!